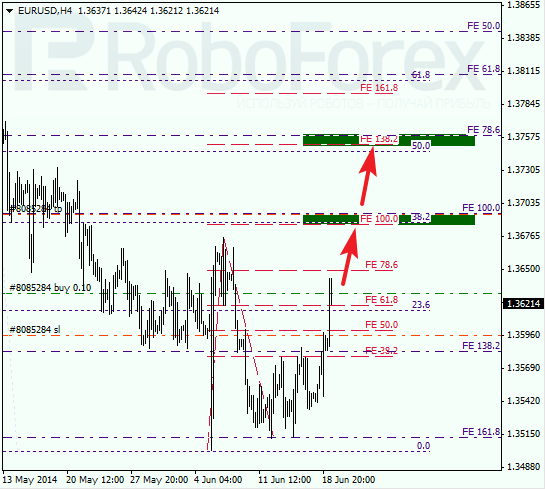 EURUSD is heading up and we have to correct our targets. I’ve opened long trade on the correctional move with possible target near closest Fibo levels congestion at 38.2% area. (1.3695 – 1.3686). Each of two Fibo levels congestions has local confirmations. Timing Fibo zones indicate that target can possibly be achieved as soon as today. After local correction price can move to upper levels. 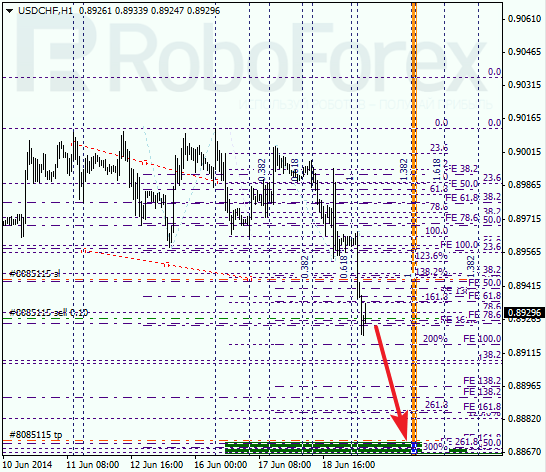 Possibly, correctional move on USDCHF is continuing. Low can be violated as soon as today. 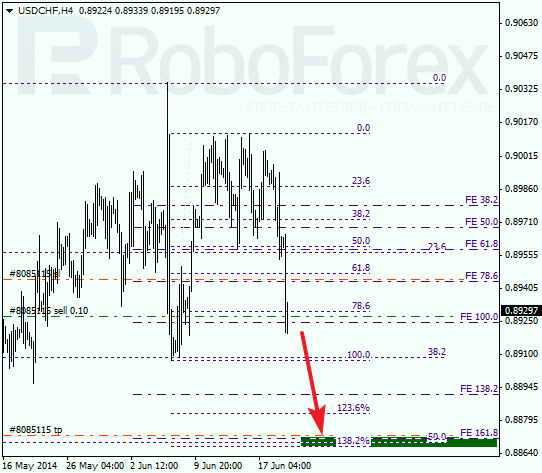 Possible target for sellers is located on congestion 0.8870 – 0.8865. This are can serve as a support later. Timing Fibo-zones indicate probability of achieving projected targets before the end of this week. Some local levels confirm lower targets. 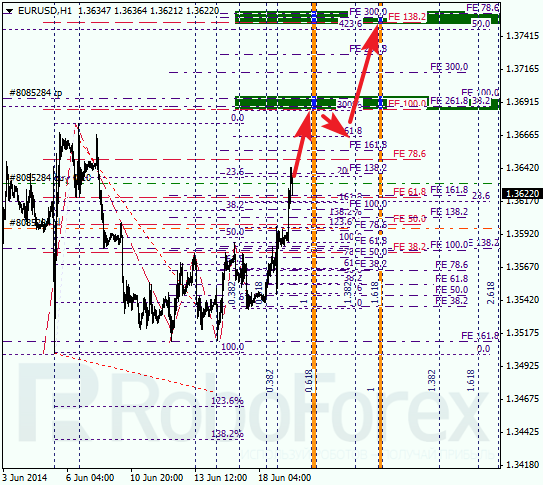 It allowed to set take profit for short position there.